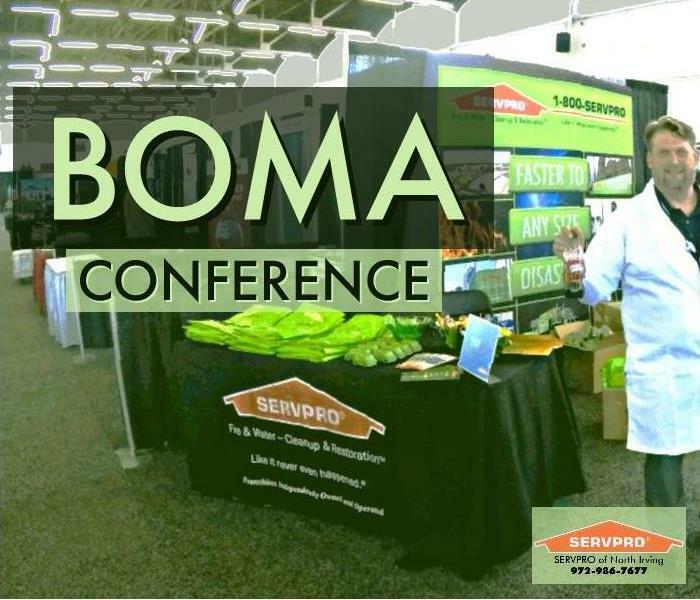 SERVPRO of North Irving participated in the BOMA Conference. BOMA is the Building Owners and Managers Association International Conference. Our team had a great time helping managers learn about SERVPRO’s commercial services such as mold remediation, water and fire damage restoration, and cleaning services. 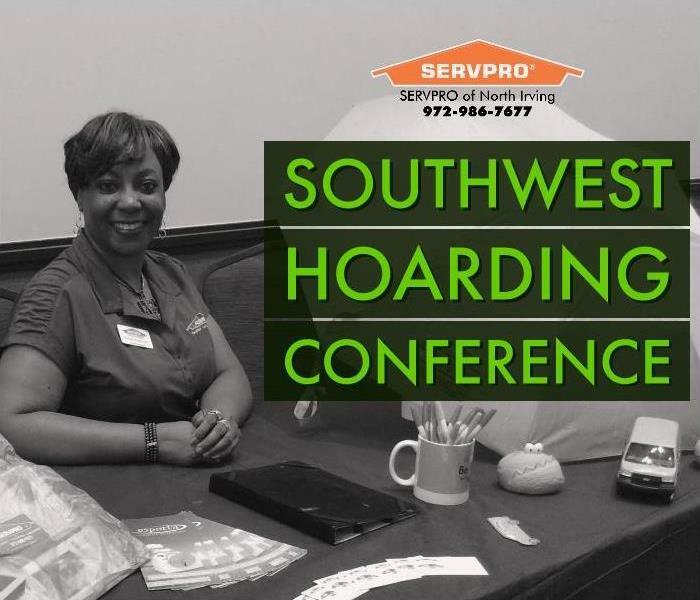 SERVPRO of North Irving was part of the Southwest Hoarding Conference in Dallas, TX. This Conference is open to family and friends of individuals exhibiting hoarding behavior, and it teaches people how to help them in a compassionate way. Our franchise participated in the conference as a company available to help with hoarding cleanup in Dallas Fort Worth. In the event of biohazard hoarding situations, we are also available. 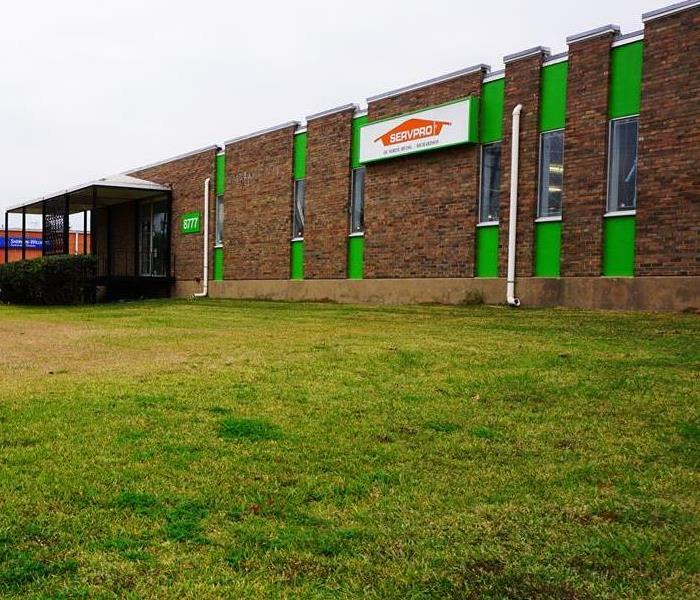 SERVPRO of North Irving's headquarters is minutes away from downtown Dallas. We are located between Texas 183 John W. Carpenter Freeway and 35E. Our location strategically places us in a place where we can access every major highway in just minutes and arrive at any place in Dallas Fort Worth quickly. We have been part of SERVPRO's franchise system since 1986. Our franchise is a well known and trusted Texas disaster restoration company. We offer residential and commercial restoration services for fire and water damages in Dallas Fort Worth 24 hours a day, every day of the year. 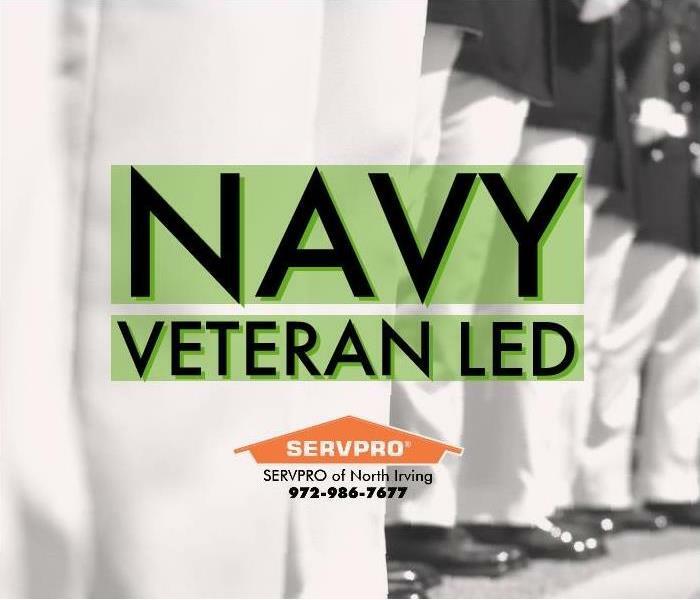 SERVPRO of North Irving was founded by United States Navy Veteran, B. Weaver. The same dedication and training that was learned in the Navy was applied to structure our franchise. Today, over 30 years later, we are one of the oldest water damage restoration companies in Dallas Fort Worth. 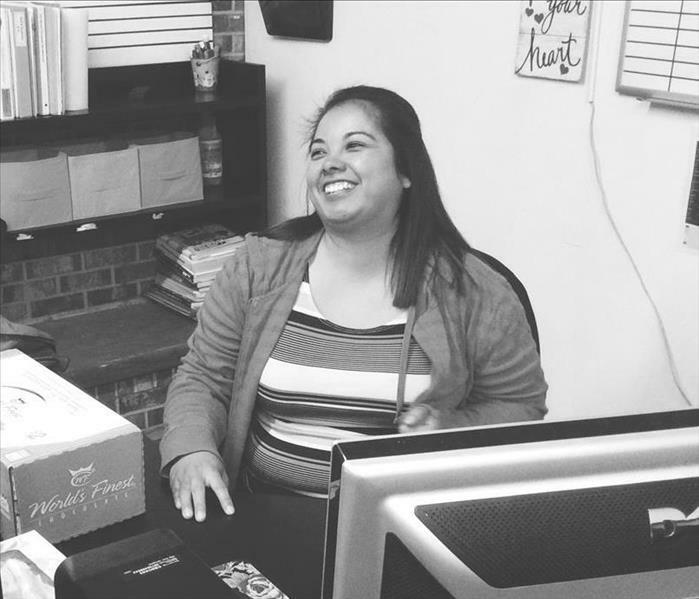 Our franchise has been a woman-owned business since 1986. 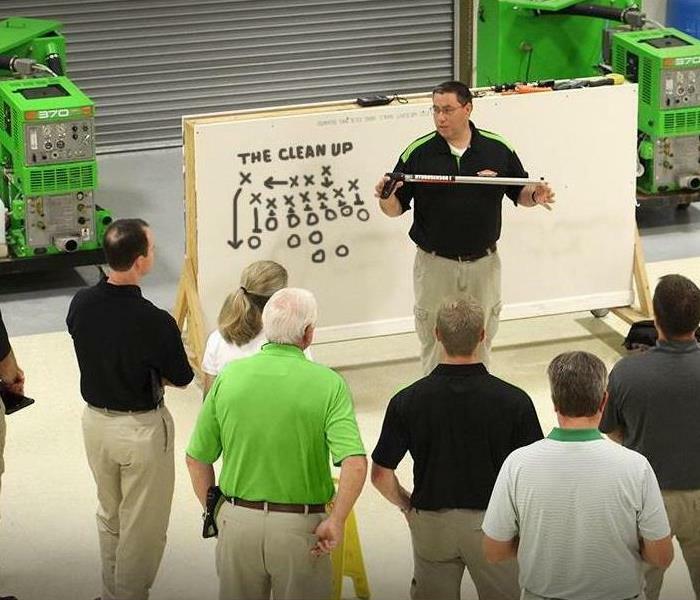 What started as a simple carpet cleaning business has grown into SERVPRO of North Irving becoming recognized as a leader in disaster restoration in Texas. In the past three decades, we have served thousands of families and businesses needing water and fire damage restoration in Dallas Fort Worth. Today, our residential and commercial restoration services also include mold remediation, including black mold removal, and biohazard cleanup. We’re proud to announce that our franchise was designated Texas Mother Friendly Worksite in 2018! As a Texas Mother Friendly Worksite, we provide a flexible work schedule for lactating mothers. Each schedule is unique and helps our moms finish their work responsibilities and provide for their baby. Our office has a designated and private area for our lactating mothers to express breastmilk, and we also have a refrigerated space for breastmilk to be stored safely for the duration of the workday. The Texas Mother Friendly Worksite criteria was developed for the State of Texas with the guidance of the University of Texas School of Public Health Austin, and University of Texas Health Science Center at Houston. To learn more about it, please see the Texas Mother Friendly Worksite website. We used ATP testing on this door handle in an athletic facility in Dallas, Texas was tested to know its contamination level. ATP--adenosine triphosphate--is found in all living cells. The higher the level of ATP, the more contaminated the item is. An acceptable level for non-porous materials is an ATP result of 10 or less. We routinely test pre- and post- cleaning to make sure our cleaning job is objective and verifiable. This door handle tested at 432--a failing score. 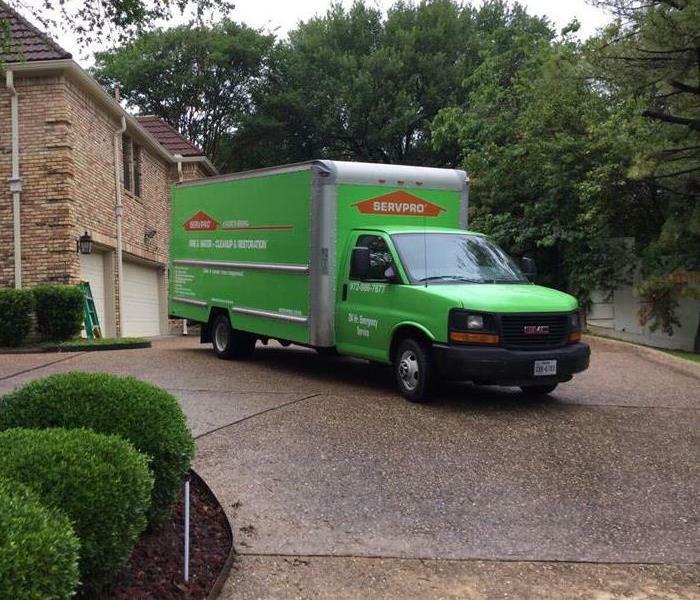 SERVPRO of North Irving has over 30 years of experience cleaning and mitigating water, fire, and mold damages. We respond 24/7 every day of the year. Call us for a free cleaning consultation for your building. 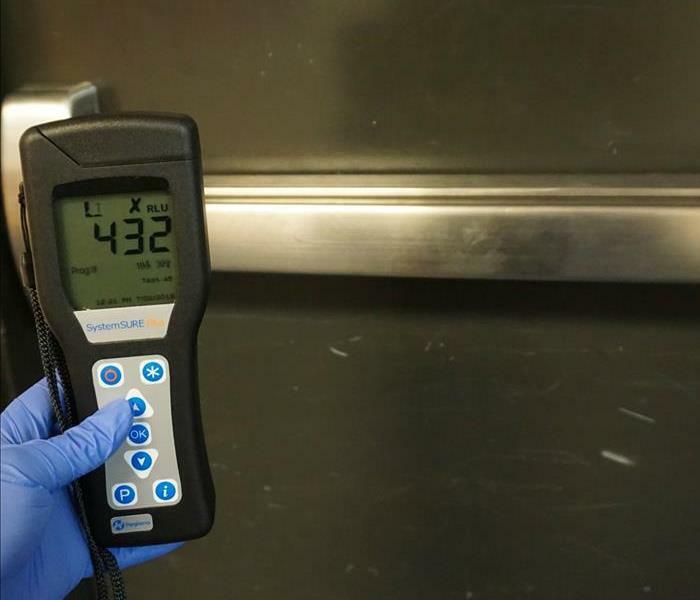 We used ATP testing on this bathroom shower in an athletic facility in Dallas, Texas was tested to know its contamination level. ATP--adenosine triphosphate--is found in all living cells. The higher the level of ATP, the more contaminated the item is. An acceptable level for non-porous materials is an ATP result of 10 or less. We routinely test pre- and post- cleaning to make sure our cleaning job is objective and verifiable. This shower tested at 3,263--a failing score. We used ATP testing on this locker room floor in an athletic facility in Dallas, Texas was tested to know its contamination level. ATP--adenosine triphosphate--is found in all living cells. The higher the level of ATP, the more contaminated the item is. An acceptable level for non-porous materials is an ATP result of 10 or less. We routinely test pre- and post- cleaning to make sure our cleaning job is objective and verifiable. This floor tested at 510--a failing score. A hurricane’s rising water is Category 3 (grossly contaminated). These waters rise in a home, so extra precaution must take place to keep the home and its occupants safe. 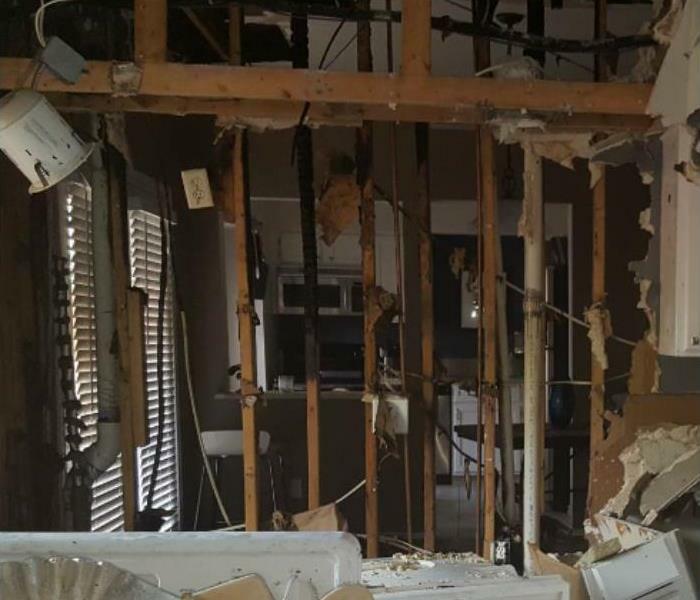 In the picture, you can see a “flood cut” which involves removing the lower portions of a home’s drywall where the water rose and absorbed into the structure. Our technicians also sanitized all affected areas. SERVPRO of North Irving traveled to Houston in 2017 in response to Hurricane Harvey. Our crews spent nearly four months in Houston and its surrounding communities. Industrial carpets are meant to withstand a large number of people walking over them. They should be routinely vacuumed to help keep the integrity of the carpet intact and extend its life. Even with regular vacuuming, all carpets will need to be professionally deep cleaned at least twice a year. SERVPRO of North Irving will shampoo your carpet and use hot water extraction. Then, we will set drying equipment to help speed up the drying process and help minimize interruptions to your business or organization. An overnight rainstorm with high winds caused a water damage in this commercial building in Dallas, Texas. The structure was dried in a matter of days, and construction crews were able to resume their scheduled work. 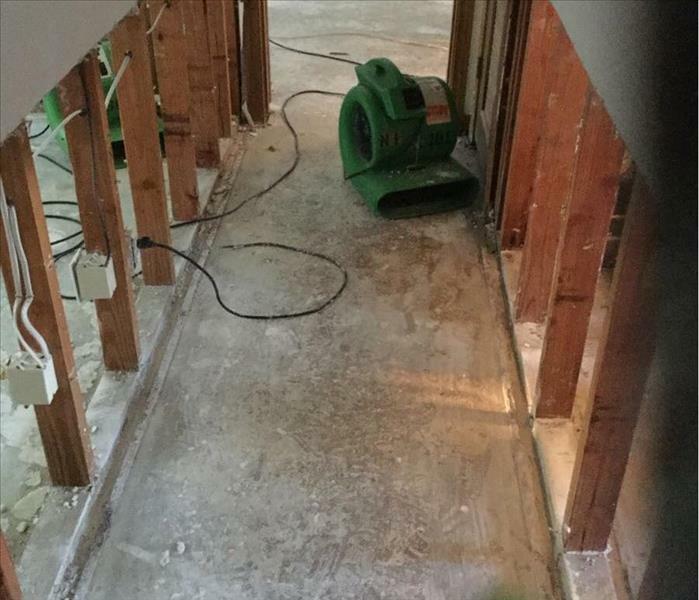 SERVPRO of North Irving has been responding to emergency water damages for businesses for over 30 years in the Dallas, Fort Worth Metroplex. We understand the high cost of business interruption; our managers will create a plan to get your business back to operating quickly. We're available 24-hours a day, 7 days a week. Call us any time. We're ready to help. A thunderstorm with strong winds caused water to flood this multi-story commercial structure in Dallas, Texas. The structure was dried in a matter of days, and construction crews were able to resume their scheduled work. A storm with high winds caused water to enter this commercial structure in Dallas, Texas. The structure was dried in a matter of days, and construction crews were able to resume their scheduled work. This Dallas, Texas commercial structure experienced a multi-story water damage after a high wind storm. The structure was dried in a matter of days, and construction crews were able to resume their scheduled work. An overnight leak spread water everywhere and surprised this Dallas office’s employees the next morning. Our crews responded by finding the source of the leak and extracting all standing water. Drying equipment was also set up to begin the drying the structure to goal and remove favorable growth conditions for possible mold. SERVPRO of North Irving has over 30 years of experience mitigating water, fire, and mold damages. We are a Texas licensed mold contractor and respond 24/7 every day of the year. Call us. We’re ready to help. 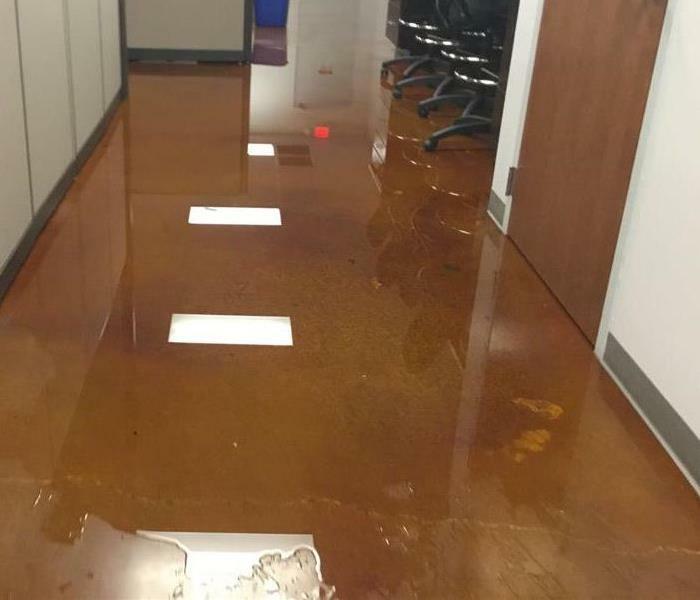 When this Dallas office opened for the day, they discovered that a water leak has spread water everywhere. Our crews responded by finding the source of the leak and extracting all standing water. Drying equipment was also set up to begin the drying the structure to goal and remove favorable growth conditions for possible mold. This Dallas home experienced a small fire that was quickly put out. However, even a small fire can produce enough smoke and soot to affect its surroundings, like these cabinets, ceiling, and vent. Our crews cleaned the structure and also cleaned the home’s air ducts. When a home has a fire, the air ducts system often needs to be cleaned. Smoke flows to colder air pockets in the home, and many times that is in the ducts. In this picture, see the darker spots in the vent where the soot settled. When we are called to a fire damage, we inspect all of your home, including air ducts, to ensure we clean everything affected. SERVPRO of North Irving has over 30 years of experience mitigating water, fire, and mold damages. We respond 24/7 every day of the year. We will often contain rooms during a fire cleanup, especially if not every area of a house was affected. We contain the rooms using thick plastic and then set air scrubbers inside the contained area to begin the deodorization process. Containment also helps us keep all debris, airborne and not, contained to one space while we clean. 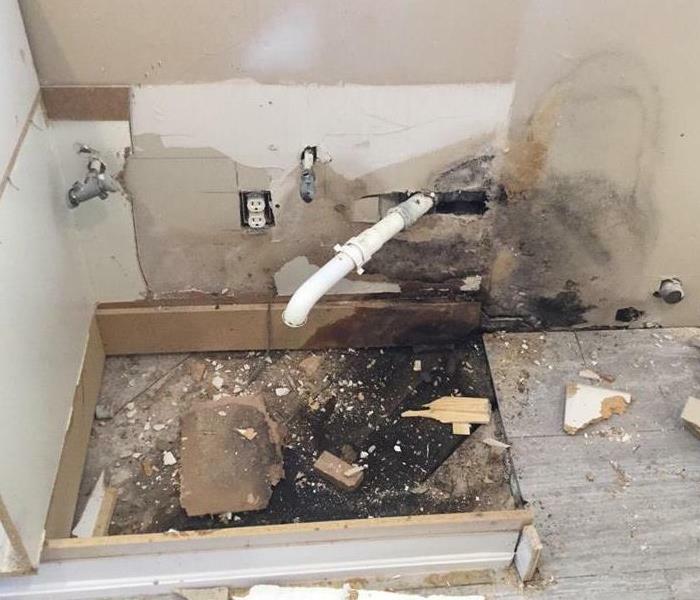 This McKinney, Texas home experienced a mold damage after a slow leak remained unnoticed under their kitchen cabinet. A cabinet is a popular place for mold to grow since it provides a favorable growth environment such as a warm, moist and dark space. SERVPRO of North Irving is a Texas licensed mold contractor. If you suspect or see any mold growth in your home or business, give us a call today. We offer free assessments. As a business, you understand that disruptions to business operations are costly. Yet, accidents happen and at times they are unavailable, but they don’t have to last for long. This Garland, Texas warehouse experienced a water damage and resumed operations within a matter of hours after our crews extracted the water and dried the structure. 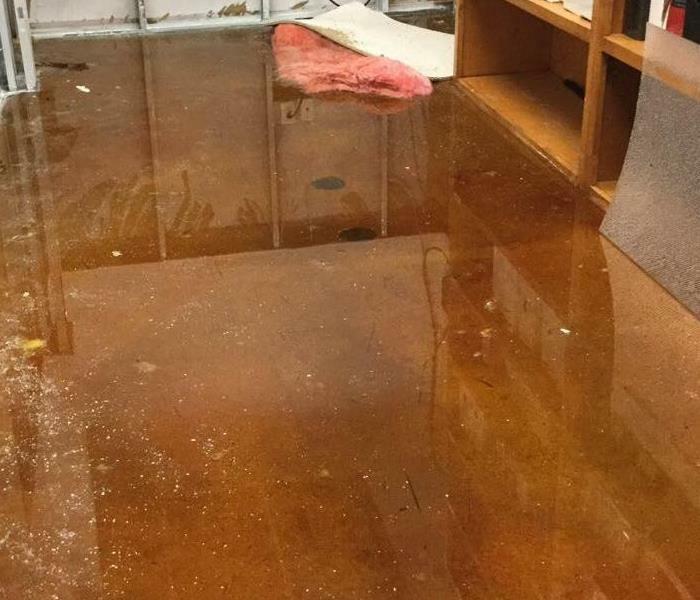 A water damage threatened to delay the operations of this Garland, Texas warehouse. Our crews arrived within hours. They extracted the water and placed drying equipment. Normal business operations were able to continue just hours after the water damage happened. An unnoticed water tank leak lead to mold growth in the water closet of this Waxahachie, Texas home. Mold most easily grows in warm, moist environments, but given enough time, it can spread well beyond its point of origin. A water damage in an adjoining room resulted in this bedroom wall becoming affected and creating a favorable environment for mold growth between the wall and the cabinet. 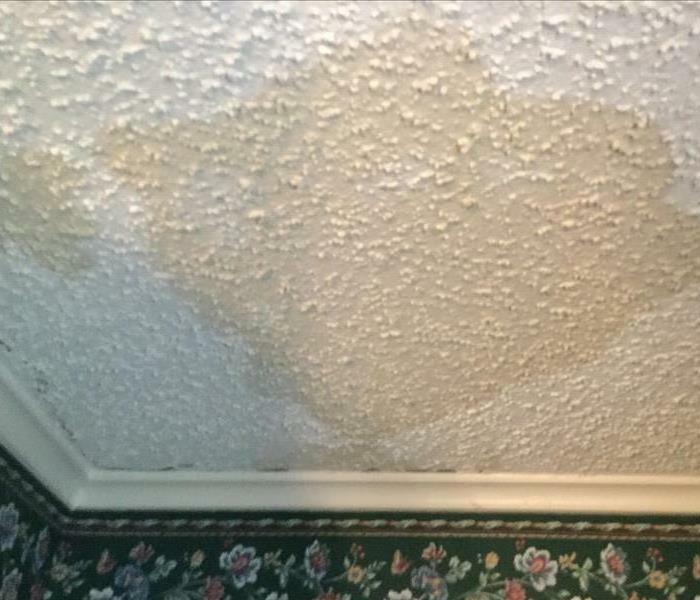 During a water mitigation, SERVPRO of North Irving will assess your property for all affected areas and correctly dry every affected surface. This piece of furniture was affected at one point during a water damage but was not fully dried. The result is mold growth on the furniture itself. Mold most easily grows in warm, moist environments, but given enough time, it can spread well beyond its point of origin. An undetected water damage left this homeowner with mold growth on a closet door. Mold most easily grows in warm, moist environments, but given enough time, it can spread well beyond its point of origin. A water damage during an extended vacation left this homeowner with mold growth along their baseboards. Mold most easily grows in warm, moist environments, but given enough time, it can spread well beyond its point of origin. SERVPRO of North Irving participated in Career Day for Dallas Independent School District’s Maple Lawn Elementary. We visited the school and explained the importance of preparedness. 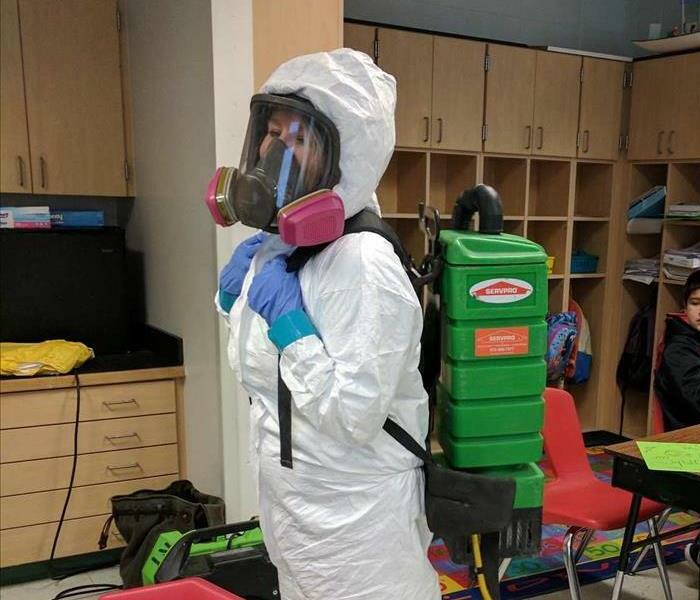 We also demonstrated some field equipment and invited a teacher and a few students to put on PPE, personal protective gear, to explain how our technicians stay safe. If your school is hosting Career Day, contact us. We’ll be happy to visit and connect with your students. For inquiries, please email help247@SERVPROofnorthirving.com or call our office. A professional and well trained staff is important to our field. When we enter a home or business to help with an emergency water damage or fire restoration, our customers want to know that their property and belongings will be taken care of by the best professionals in cleanup and restoration. This is why our training program is intensive. 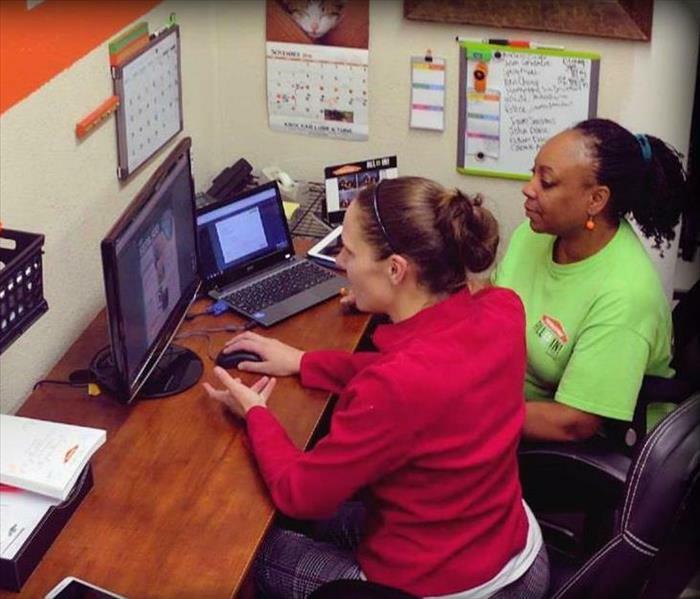 When a new technician is hired, they begin learning from day 1 with both in-field experience next to a veteran mentor plus an at-home study program designed by SERVPRO. Training advance with 8-hours a day of practical experience and study at home. All technicians are required to pass a six-part series of exams within 3 months of their hiring. Then, they are sent to a nearly week-long training to earn IICRC Technician Certification. SERVPRO of North Irving’s headquarters is in Dallas, Texas just minutes away from downtown. It takes us just minutes to get on highway 35, 75, and 183, making our emergency response service efficient. Our franchise’s goal is to be at every job site in 4-hours or less. The reality is that we usually arrive in less than 2 hours. While we headquarter in Dallas, we also have satellite offices in Richardson and Waxahachie. 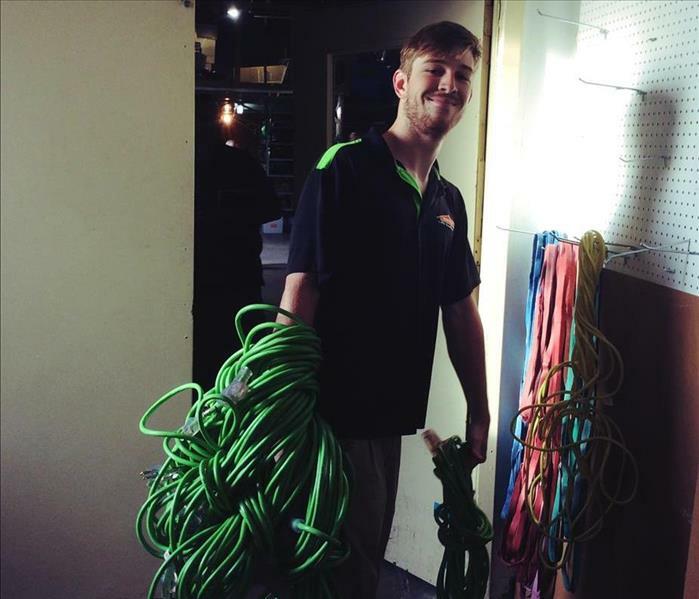 SERVPRO’s slogan “faster to any size disaster” is a lifestyle and a promise for us. We know that every minute counts when a home or business is flooding. If you’re experiencing an emergency, call us. We’ll be ready. After a water damage, it became our priority to try to save the wood floor in this Highland Park home and save them the high cost and time of demolition and installation. It’s possible to save flooring if the water is a low category and if the property drying techniques are applied quickly. 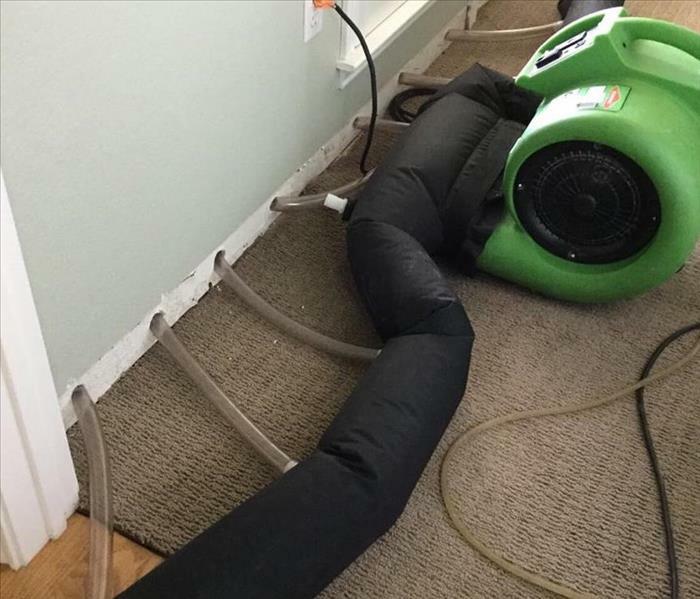 For this damage, our technicians used a specialized flooring mat to apply warm, dehumidified, pressurized air. This customer didn’t realize they had a roof leak until they noticed this yellow ring on their ceiling. These rings are most likely a result of a water damage, like a slow leak. If you see this kind of discoloration on your ceiling, give us a call. Our technicians will inspect the area above, find the source of the leak, and fix the damage. 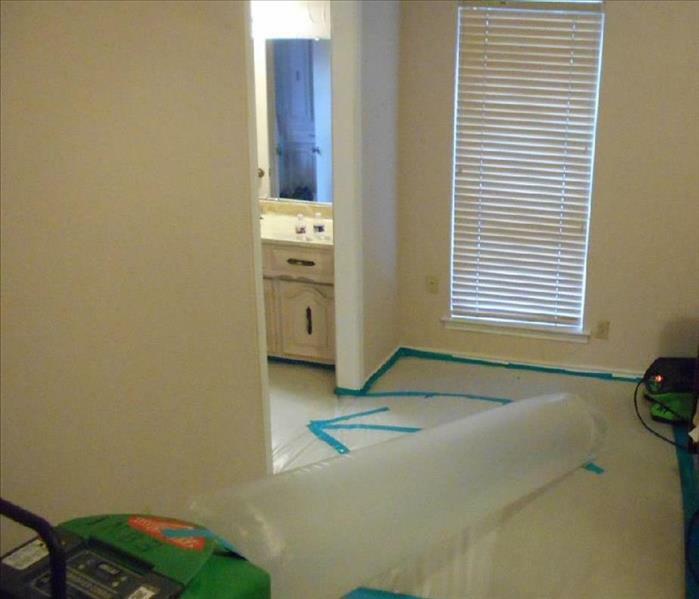 We are also a Texas licensed mold remediator, so if any mold has grown as a result of the unattended leak, we will also be able to offer mold remediation services. Give us a call; we’re available 24/7. This McKinney home experienced a fire damage. After fire department efforts, our crews went in and began to mitigate any leftover water damage. We also began emergency tarping and board up services, which prevent precipitation from entering the property and deter break-ins. All contents inside the property were packed out and taken back to our facilities to be cleaned, including textiles like clothing. 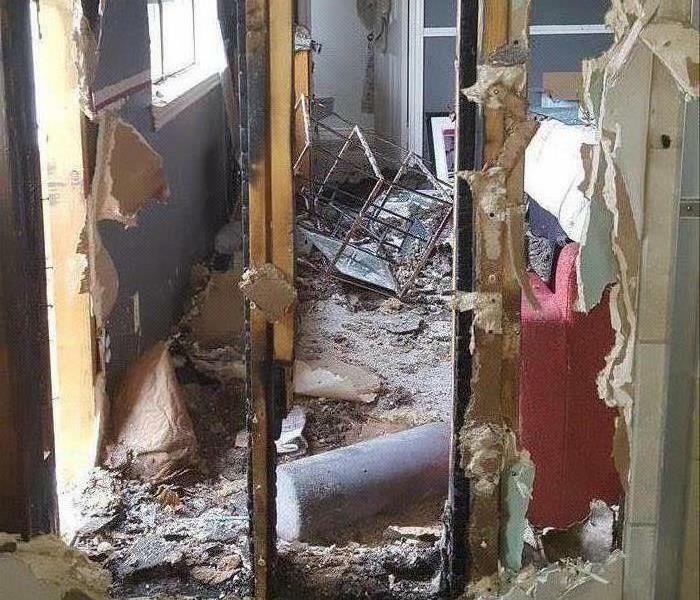 This Allen, Texas home experienced a fire damage. Our crew responded by performing any emergency services, such as roof tarping, board ups, and water mitigation. Once the structure was secure and stable, they began cleanup and pack out. All damaged materials were taken out of the structure and salvageable contents and textiles were taken back to our facility for cleaning, deodorization, and storage. Once the home was clean, reconstruction was completed,and then all items were packed back. 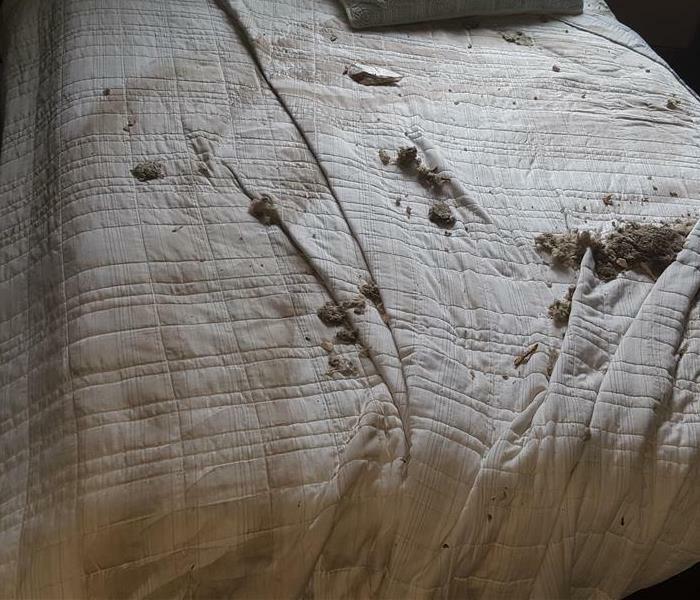 This comforter experienced damage after a fire. The majority of smoke and soot affected textiles are salvaged in the Esporta Wash System. The textile is entered into the machine, where a mix of up to six detergents are used with hydraulic pressure to remove all smoke and soot particles. The smoke smell is eliminated and the textile is left with a near neutral pH and sanitized to food grade safety. SERVPRO of North Irving is one of the few Esporta Certified Operators in the Dallas, Fort Worth Metroplex. 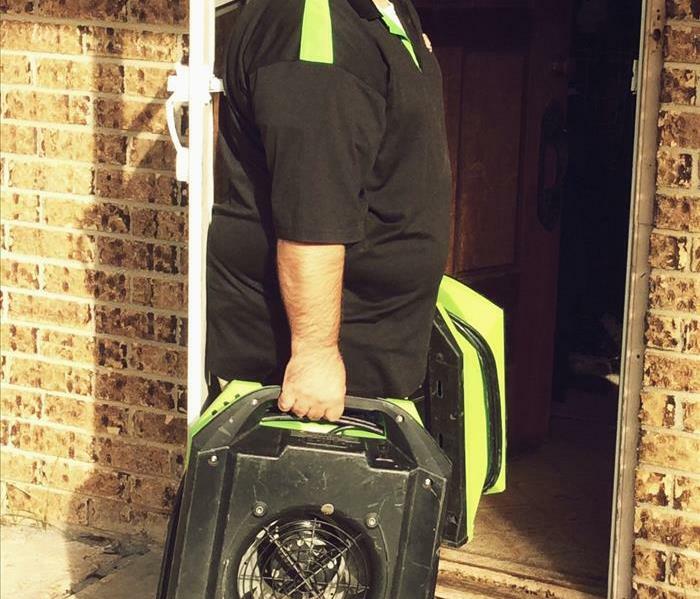 SERVPRO of North Irving has been responding to emergency water and fire damage calls for over 30-years and is also a Texas licensed mold remediator. We're available 24/7. It’s always our goal to limit the amount the demolition needed after a water damage. An injector dry is a specialized drying tool that helps us accomplish this goal. After the baseboard is removed, small holes are drilled at the base of your wall. The injector dry is slotted through those holes and pumps warm, dehumidified air into the air space behind the wall. Our technicians monitor the drying process every day to ensure the technique is working quickly enough to avoid possible mold growth. After the wall has dried to goal, the baseboard is reattached. After a water damage, you will see one of our technicians using a meter on your floor, we are checking for moisture. Many times, water has seeped into the flooring and is hiding underneath--even though the top of the floor may seem perfectly dry. Leaving moisture underneath the flooring will lead to mold growth and often leave the flooring permanently damaged. When our technicians find moisture using their meters, they will seek more advanced mitigation techniques to make sure your property is completely dry and safe. This customer had a large amount of mold after a slow water heater leak affected a portion of his attic and a bedroom. Our technicians mitigated the water damage and them remediated the mold. SERVPRO of North Irving is a Texas licensed mold contractor. We offer free assessments to any homeowner or business who was found mold or suspects mold on their property. Call us today at (972) 986-7677. When we respond to a fire damage, we look for smoke and soot damage around the property. Next, we set a plan to demolition the structure that is permanently damaged and remove it from the structure. Afterwards, our crews clean the structure, using different techniques according to the chemical composition of the soot found. Finally, we deodorize the structure. Setting containment, like on the picture featured, helps us isolate areas of a property to help any smoke or debris left in the room from spreading to other areas of the home and also to help deodorize the area more efficiently. When there is water flooding your home, every minute counts. SERVPRO understands this, and that’s why we will respond to any emergency within 4 hours. We will respond to all phone calls within 1 hour, and within 4 hours, a prepared crew will arrive at your property and begin emergency mitigation services. 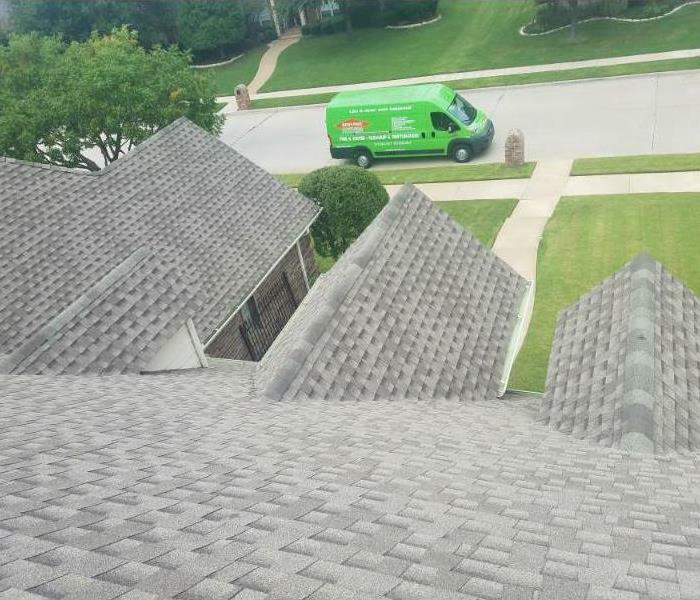 SERVPRO of North Irving is available to take anytime of the day, and we respond to emergency calls 24/7 every day of the year. 1) It raises the air pressure which causes the water to evaporate at lower temperatures. 3) It removes humidity from the air which allows water to move from the structure into the air. Our goal is to always save as much of the structure as possible after a water damage. A water damage in the adjoining kitchen soaked this customer's floors. In order to save our customer's wood floors, we set down specialized drying equipment. The equipment extracted water trapped underneath the wood floors quickly enough to save them from any damage. Many times, broken pipes are the reason for water damages. When this customer experienced a water damage in his kitchen, the culprit was quickly found. For tips on broken pipe prevention during freezing temperatures, read our blog. Our emergency storm response team was called to perform a roof tarping to a Dallas home after it experienced storm damage. 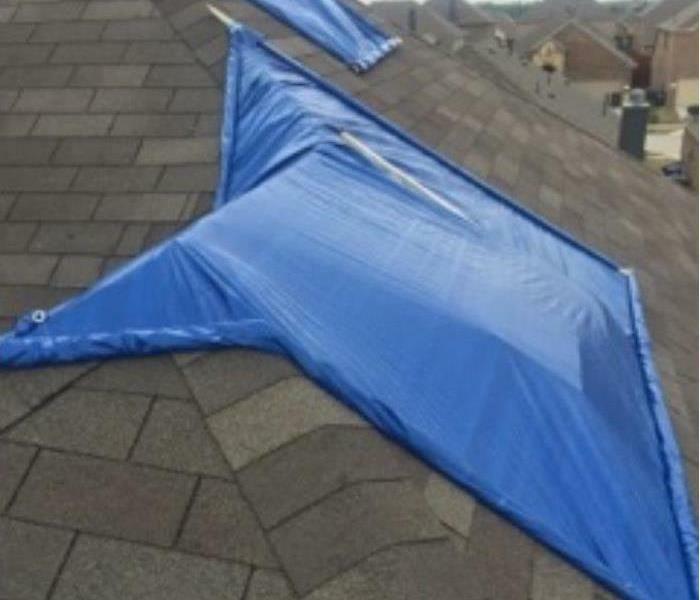 We secure a thick tarp to undamaged portions of the roof to prevent any precipitation to enter the home until the roof can be permanently repaired, which our reconstruction team can also do. While we tarp the roof, our team can also inspect the attic and all floors of a home and mitigate any water damage that happened during the storm. 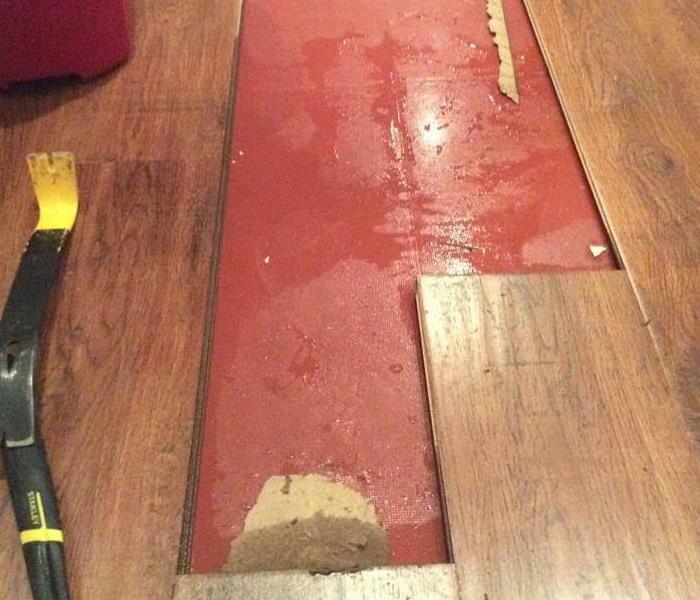 After a water damage, our Dallas, TX based technicians needed to save this customer's flooring. We needed to use our professional expertise to tent and direct hot, dehumidified air onto the flooring surface. Our technicians did this in order to release bound water, water that was stuck in the wrong place, by applying more energy to it. Whether we’re cleaning your home in preparation for a big party (or after a big party), our technicians are trained to reach for every corner, no matter how high up it is. SERVPRO of North Irving offers deep cleaning for any room in your home or business. We’ll also take care of your carpets and will never charge you for special spot treatment--it’s all included in our estimate. 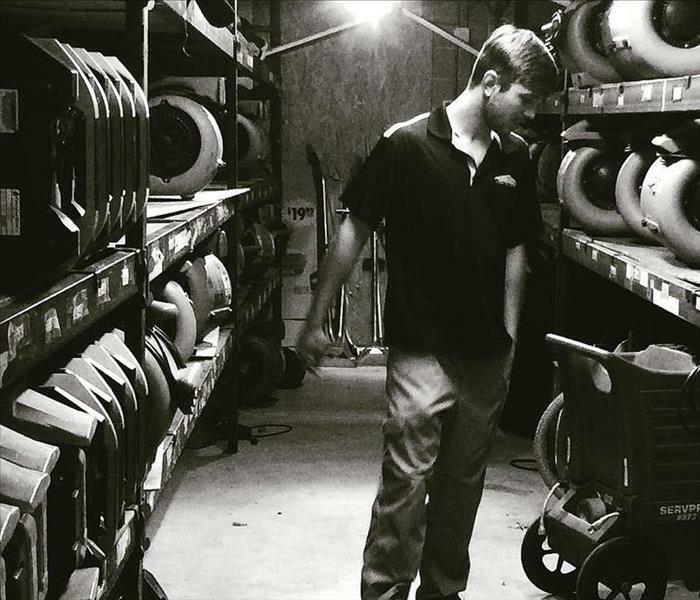 Our office also specializes in duct cleaning to help you have cleaner air in your home. If you’re interested in our cleaning services, give us a call today. Estimates are free. Our workplace has a strong female presence. From administration, to management, to technician work, women are proudly presented everywhere--including in our ownership group. 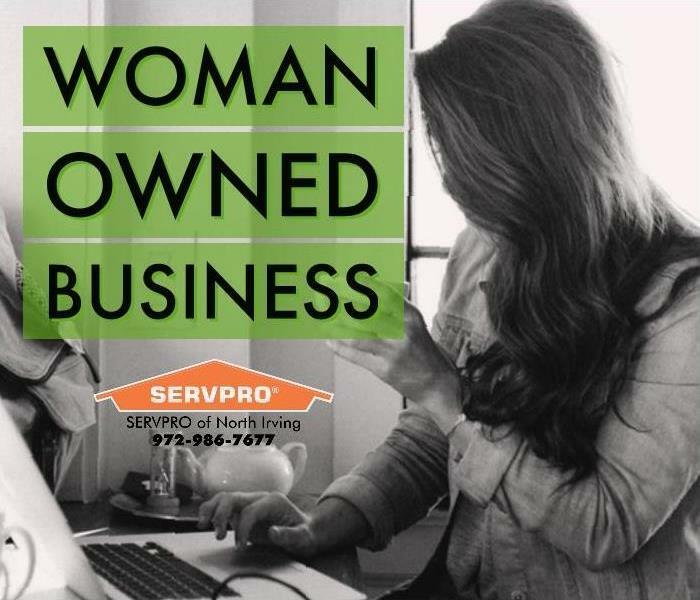 SERVPRO of North Irving offers flexible work schedules for the women who are mothers. We understand and prioritize the importance of family, and we’ll find a schedule that will work for our employees with families. When we're not responding to an emergency, we're preparing for one. Our administrators and managers know that being prepared for any emergency is important to the person calling us with a flooded home or fire damage. 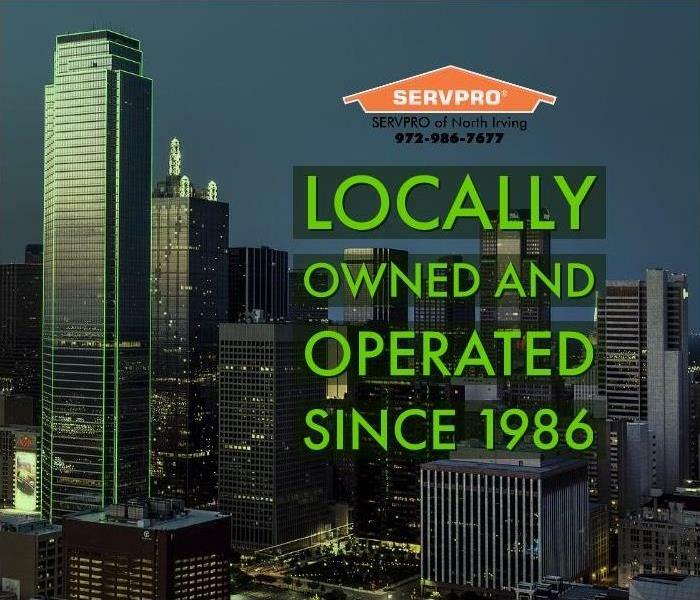 SERVPRO of North Irving makes it a priority every day to keep our business and vehicles stocked for any emergency, no matter if the property we’re called to help is 10 minutes or 2 hours away. 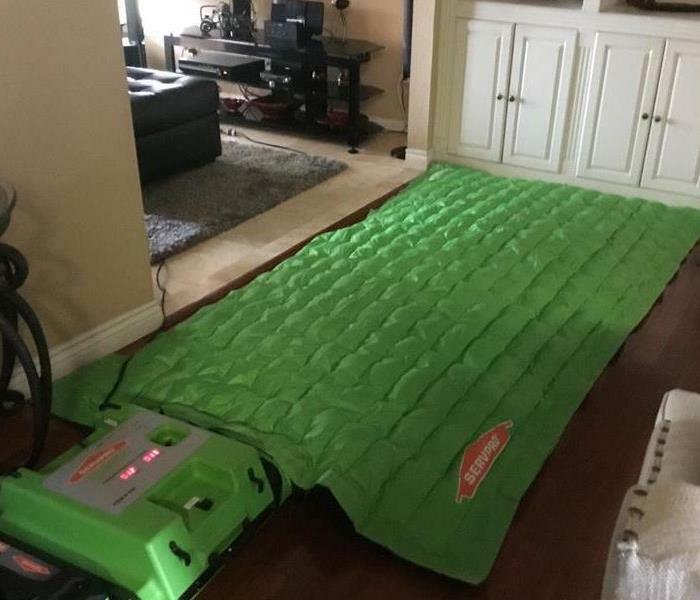 SERVPRO is faster to any size disaster. Call us any time. We’ll be ready. When someone is experiencing a water, fire, or mold damage in their homes, their stress levels are likely higher. We pick up the phone knowing the person at the other end of the line is calling us because they need our help putting their home back together. When we’re asked why we do the work we do, our answers are always the same--we have a passion for helping others. 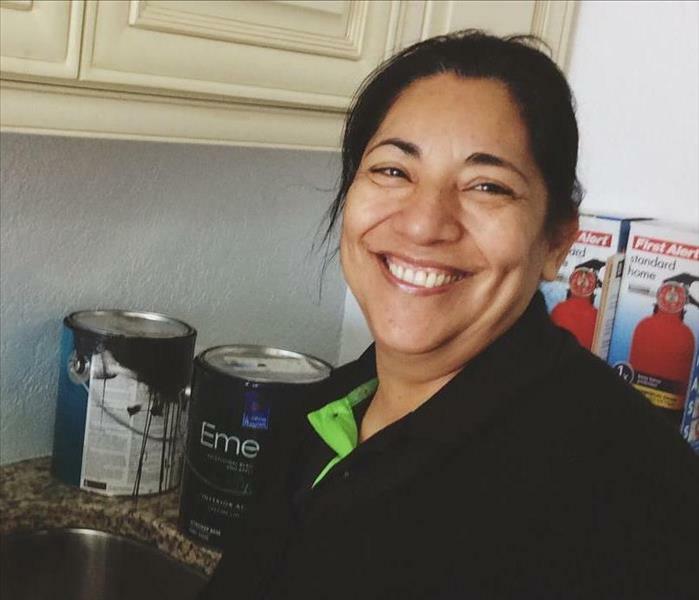 Restoring someone’s home is our purpose, and when the job is done correctly, we’re just as happy as the homeowner. That's why we dedicate ourselves to a job well done, and we have passion for what we do. Preparation and planning are vital to our business--we couldn’t be an emergency response company without these components. That’s why, every morning, our mitigation managers meet with our entire crew of technicians and discuss what they will be accomplishing. They also go over yesterday’s jobs and make sure every customer is being taken care of and stays top-of-mind. While we plan everything we know will be on the schedule, emergencies will always happen. That’s why our technicians make sure to gather the day's needed materials as well as extras for any emergency before heading out. When a rug has been in a water, fire, or mold damage, it can often be saved. SERVPRO has a wide selection of proprietary chemicals that we use to save carpets of all types of weaves and colors. If you have a damaged textile, talk to our technicians and ask for them to be cleaned. 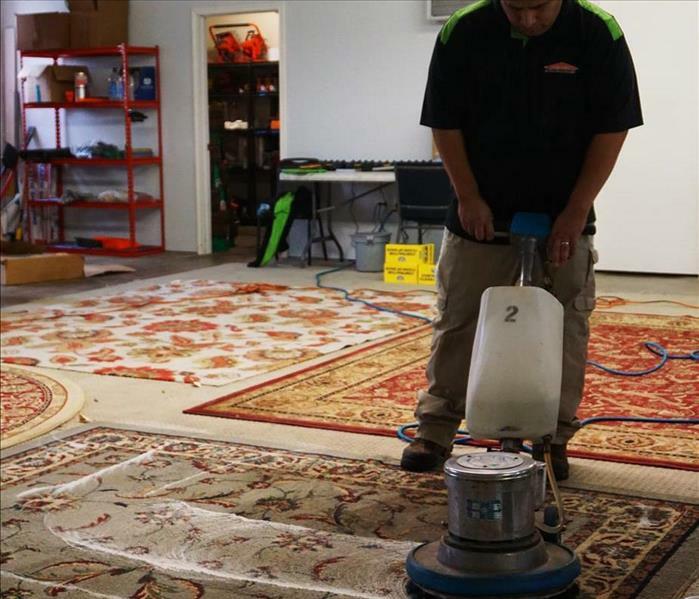 Our technicians will bring the rugs back to our cleaning facility and use a variety of techniques to clean and dry them. Once the rug is ready, it is delivered back to your home or business at the time of your choosing. 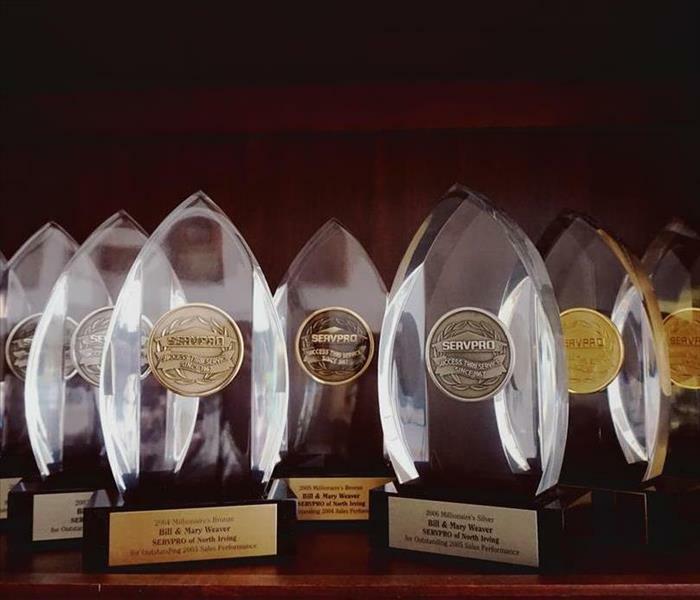 With over 30-years of business history, SERVPRO of North Irving has had time to acquire a few awards. We display our awards to remind ourselves of the hard work our technicians, administrators, and managers perform every day to earn those accolades. We also display them to remind us to continue providing excellent care and service to our customers and push ourselves to continue improving every aspect of our business and grow our depth of technical knowledge constantly. Our sales representatives are active members of their community and attend many trade shows and conferences to represent SERVPRO of North Irving. Our representatives are always excited to educate our future generations on the restoration industry; we happily accept requests from schools in our communities to speak to their student body. If your school would like us to attend an event, such as Career Day, give us a call any time. Our sales representatives are trained to know about our Esporta Wash System among other mitigation techniques we use in the field. In fact, many of them are IICRC certified themselves and have the same base of technical data that our technicians and mitigation managers do. 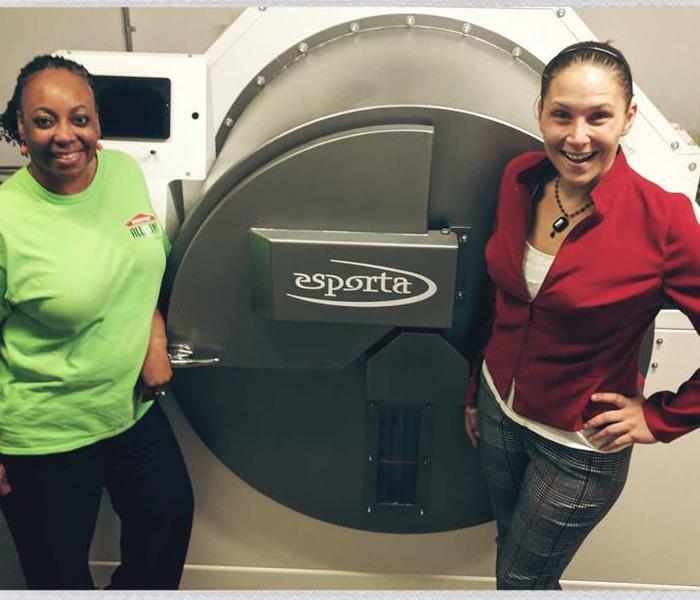 When we first received our Esporta Wash System, Christi and Megan were especially excited to be trained on the machine so they could start explaining the benefits of this specialized wet-wash system. We are one of the few businesses in the Dallas, Ft. Worth Metroplex that are Esporta Certified.